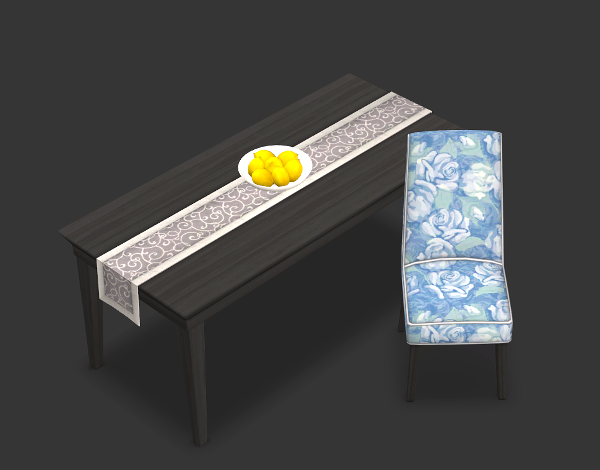 They recreated this set for ts3 and its chair is very similar in shape but recoloring the s2 chair only worked with symmetrical patterns. 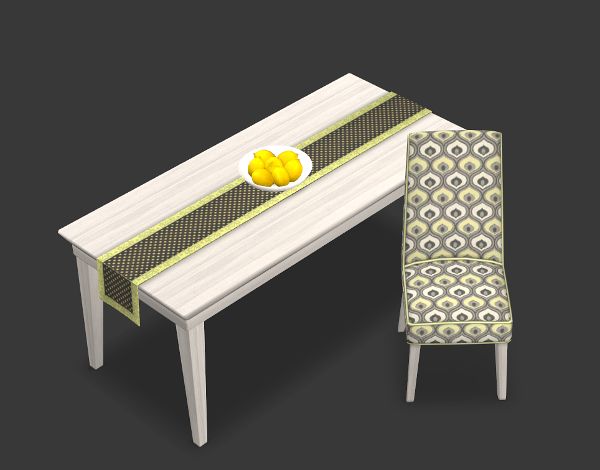 Since I was sick of chevrons and stripes, I converted the s3 one (you can have both chairs in game). 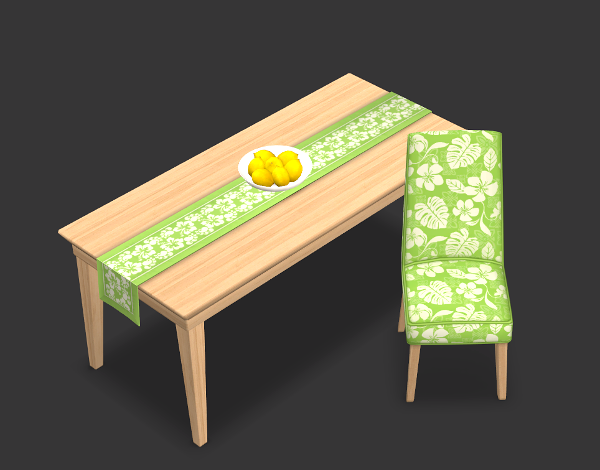 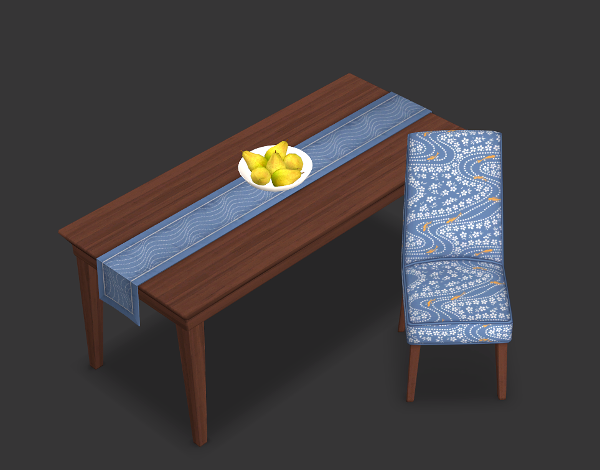 I also converted the table runner and it seems to fit most 2-tile tables. 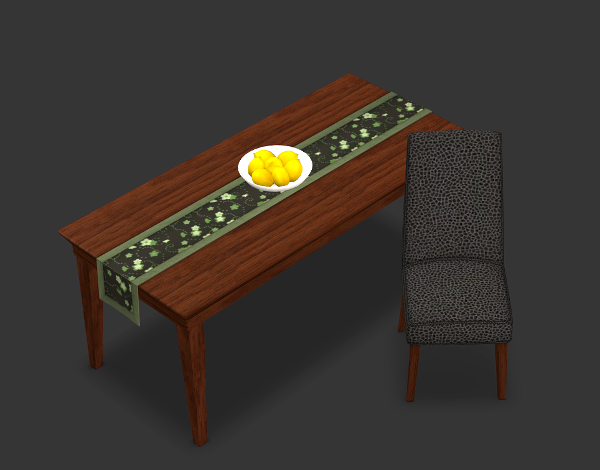 Placing it is easier with moveobjects off and it's located under surfaces: miscellaneous. 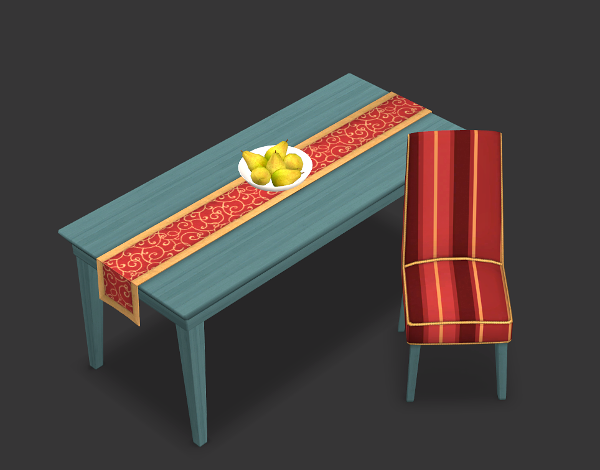 I added a center deco slot to the table.